More information about the authors can be found here. This entry was posted in Issues on May 8, 2014 by ocawonder. We are born into a specific place and time and into a family with established values and customs. We develop and grow within this reality but also with our very own God given personalities and talents. God also gives us personal mentors and examples, from our earliest days, who impart their wisdom and their own life lessons to us. If we are receptive and sensitive to these opportunities, our lives are enriched and our personalities develop into adults who not only strive to achieve great things in our own lives, but also strive to share and care for others in need. Growing up I attended church regularly, serving as an altar boy for many years. At school I was good in mathematics and science and was encouraged to study engineering, which I did. My undergraduate college department of electrical engineering had adopted an unusual team-based approach to education in which individual study and student team problem solving was the norm. The professors did not lecture; rather, they posed tough problems and asked probing questions. As a result, I became very interested in inter-personal dynamics and management processes, without losing focus on technology. 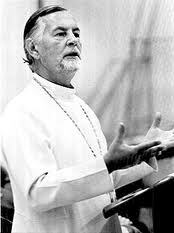 While in graduate school, I was very fortunate to get to know Fathers Alexander Warnecke, John Kozak and Alexander Schmemann. They were to me the very icons of the Church’s challenge to the world (and herself) through the Gospel, the Liturgy and action. Their initiatives and passion for the Church inspired me and encouraged me to become more active in church life. At the age of 24 I attended my first NY NJ Diocesan Assembly as a parish delegate. That was the start of my interest and active participation in the organizational side of the church. I worshipped regularly and met my wife at a university OCF meeting. We were both very committed to our church community and church sponsored activities. We volunteered at a church camp, taught Sunday school, and remained very involved. Following graduate study in electrical engineering, I was offered a position at Exxon in the very new area of information technology. My career with Exxon rapidly segued into general operations management, strategic planning, and new business development. By then we had three children. Soon after that, I was encouraged to enter the late vocations program at St. Vladimir’s Seminary. I studied and completed the program and was ordained deacon. Not very long after ordination we started moving around the world with my job at Exxon, spending sixteen years overseas in Japan, Hong Kong, Singapore, Germany and Australia. In all these places, we worked to build up the local Orthodox parish community (and established the first legally-registered Orthodox Church in Singapore). We were so very thankful for the church communities we found in many of the places we lived. When there were no established churches, like in Singapore and Hong Kong, we simply knew that we had to do all we could to serve the Orthodox Christians in those countries. We felt that we had been so blessed by all those who had come before us and dedicated their lives to the church that we, in our own way, had to do what we could where there was need. Although it was often a lot of work, it was extremely rewarding and we met so many wonderful people along the way. In retirement, we continue working in the Church with St Vladimir’s Seminary as a member of her Board, with the OCA in various governance and advisory positions, and with the Assembly of Bishops Secretariat, trying to help the bishops to bring about Orthodox unity in America. Many of the skills that I learned with my career with Exxon, such as management best practices, financial accountability, organizational development, and strategic planning have been very useful in my service to the Church. As well, my experience working with people in varied international cultures has enabled me to better relate to the different ways people approach problems and relationships. Serving in churches of Russian, American, Antiochian, Japanese, Greek, and Romanian traditions around the world have given me the gift of experiencing the fundamental Gospel ties which bind us together and which supersede language, custom and rubrics. I have, for as long as I can remember, been amazed and challenged by Jesus’ sending out of the twelve disciples as recorded in Matthew 10. He gave them seemingly impossible tasks: heal the sick, raise the dead, cast out demons, witness without fear before authorities, and expect hatred and persecution in return. How could this be possible? I think that Jesus gave the key in two simple commands: firstly, freely give what you have freely received and, secondly, don’t worry about what you will say at times of trial, those words will be given to you then. We thus come out of ourselves and place ourselves in the hands of God. we deserve them, but they are a free gift from God. And part of giving thanks for a gift is making the best use of that gift and sharing it with others. All of us have gifts, whether of knowledge and expertise, wisdom and insight, compassion and love, to name a few. God presents us each day with opportunities to share these gifts. It is up to us to seize those chances to be a transmitter of God’s gifts to others, in whatever life environment we find ourselves. Sometimes we do not think that we are up to the task involved in these opportunities. We do not think we have sufficient knowledge or expertise, or wisdom and insight, let alone compassion and love. But Jesus said that we shouldn’t worry about these imagined inadequacies; remember his words that we should not worry about what we will say in times of trial. Conversely, he said that his power is made perfect in weakness, precisely because that is where we cease to rely upon ourselves and rely upon the Lord’s power at work within us. Our problems come when we hold back because we are afraid of what others will think of us, or that we will fail and appear weak and foolish. In the simplest terms, we need to do what we need to do, instead of worrying about what we should do or what we might do. If there is an opportunity to learn, to serve, to help, seize it! Seize it in faith that God will help you. “Freely did you receive, so freely give.” And do not worry about results. Have faith that God will perfect his strength in your weakness. And in all things, give thanks for each other and everything! This entry was posted in Articles on May 8, 2014 by ocawonder. Greetings, Elizabeth. Wonder is focusing on the topic of vocation, career choices and our responsibility of “sharing our blessings” with those around us, particularly through our career choices. You have always spoken very highly of your career, and have described it on several occasions as spiritually rewarding. We’d like to share a bit of your story. First, can you describe what it is that you do? Sure. I am an exercise specialist at a nursing home and retirement community, with independent and assisted living facilities. The home I work at currently is also Roman Catholic, and was started several decades ago by the Benedictine Sisters. As an exercise specialist, I am responsible for working with residents on various fitness programs that they elect to participate in. Practically speaking, our work in the fitness center is similar to physical therapy, except our goals are different. Physical therapy is a targeted rehabilitation process, whereas our fitness exercise is to maintain health and help the residents retain abilities needed in daily living. The residents often do show improvement in strength, coordination, balance – as to all people who exercise routinely – but for Mrs Thompson, for instance, our goal is to keep her walking so that she is able to transport herself to the cafeteria every evening to join her friends for dinner and bridge. Plus, most of our work is through group classes, so it’s an opportunity for our residents to socialize, as well. Is this a career you have always pictured yourself in? Work with geriatrics? Or did this seem to happen by accident? How do you understand this process? Well, simply put, in college, I never would have imagined myself in this job. But on the other hand, I have always had a desire to help people, generally in a therapeutic capacity. So in college if you would have asked me where I would see myself in 10 years, I fully expected and intended to do pediatric physical therapy. But this is still well within my field of interest. And after college I worked a few really lousy part time jobs, so when an opportunity presented itself at this assisted living facility, I went for it without hesitation. And it’s been such a blessing ever since. Wow. Where can I start?! So, I’m doing what I enjoy. I’m helping people every day, and doing so through physical therapy / exercise, which is something that I like, that I have studied, that I understand. So that is personally fulfilling. And I am clearly making a difference in people’s lives. It’s a good job, good hours, fair wage, and I work with friends and am friends with my clients. These are things I recognized very quickly. But I’ve come to see other blessings as well, the longer I’ve been working in this field. First off, I am working with a segment of the population that is otherwise neglected by our society. Very few of our residents leave the facility very often. They get visits from friends and family, but this is their life: old people, surrounded by other old people and the facility staff that attends to them all. So to them, I represent a connection to a world they once lived in and have now lost. I’m young. I’m a mother of young children. I see shows, sporting events, travel. And I’ve come to realize how important it is to my clients’ well-being for me to let myself connect these people back to the world. I can’t make the world remember them, but I get to know these people as friends, and suddenly they are not so far removed. Second, this segment of the population is very close to death. They are well into their twilight years, most of them struggling very hard to maintain some remnant of physical and mental health until the end. And they are all very well aware of their mortality, and are also wrestling with that. Trying to prepare themselves for death, trying to understand their lives in retrospect, or sometimes to tie up loose ends – everybody approaches death differently, but at the home, it is a regular topic of conversation. Of course, what can I say in response? But I see it as a blessing that my residents are comfortable talking with me about such a powerful, intimate topic. It has had a very deep impact on me to work daily with people who are at the end of their lives, when I, conversely, am mostly surrounded by new, young life outside of my work. Finally, (and this is really interesting) I said before that I always had my heart set on pediatrics, and I suspect now that I would find that work more stressful and less fulfilling than geriatrics. These people have had lives. The pediatric patients I would likely work with are in a far worse situation – many of them will never lead normal lives. Don’t get me wrong – the people who work with them are doing something incredible, something beautiful. But I just don’t know if I would have the stomach for such work. It’s a strange type of relief to realize that I didn’t have to learn that the hard way. So how do you understand your work in terms of vocation? Were you called to do this? Are you sharing your blessings with others through your career? Is this a form of ministry? Is this all part of God’s plan? See, all of those phrases are foreign to me. I don’t disagree with them, but I don’t think of my work in this way. Was I called to do exercise science at a nursing home? No. Nothing so specific. In fact, I mentioned before that I don’t know that I could handle doing physical therapy / rehab exercise with pediatric patients, but when I was in school, I was convinced that’s what I was supposed to do, if we can ever have such a specific career goal. To look at my career choice more generically, I have always wanted to help people – have felt compelled to help people, through healthcare. And yes, I do think that this is part of God’s plan. My career, as I said, is a blessing, and in return I take the job seriously. I do well at my work and I enjoy it. So is that sharing my blessings? I suppose it is. Of course, helping people is always a ministry. I know what you’re asking, though. I do see my work as noble, important, holy, meaningful, and I am happy to do it. So many people can’t find that satisfaction in their careers. I simply don’t struggle with that. I believe in what I do. It seems to be an extension of my life, my faith, my religious beliefs. I wish that all people who choose to work can find this comfort in their careers, this harmony in their lives. And I have the added bonus of working for a catholic organization, so faith, worship and prayer are very much a part of the community in which I work and my residents live. Although I’m not Catholic myself, the atmosphere adds to what is already a rewarding career. I would tell everybody looking to work in healthcare to consider very seriously nursing homes and retirement communities. Making career choices is hard, though. So I wonder…I know many people struggle with ideas like “what am I supposed to do with my life?” “What is God’s plan for me?” Maybe just having an open mind is what’s important? That, and an intent to be a Christian in whatever you do. I don’t know. I would like to hear what others think, but I do know that I thank God that I have a career that I find to be beneficial to others, that aligns with my faith, and that is socially, mentally and spiritually rewarding. I spend way too much time on Facebook. That’s partly a function of my job(s), partly my constant need for self-affirmation, and partly my constant need to spy on the people I love. But, I also spend a lot of time reading and thinking about what people post, about the gospel we Christians preach in the social media space, about what we think our voice should be in the public sphere, in facebook, the modern marketplace, on cable news, in conversation, the workplace, our schools, etc. And sadly, I’m left wanting more, more than what’s already out there. We are blessed to be part of the living tradition of our living God, passed down to us from the Apostles. Our faith, in its fullness, has been gifted to us not to merely preserve, but to share. Sadly, especially on social media, we have lost the basic ability in many cases to share this tradition without looking like extreme jerks. Listen, I love being a know-it-all as much as the next guy, but letting our pride and ego launch us into a caps-lock heavy combox battle witness only to the tradition of people putting ego before Gospel. No one, ever, will be argued into the Kingdom by you or I.
I recently heard a member of the UN Security Council tell a large group of business leaders that Christianity is the most persecuted religion in the world. This is no surprise to those of us who’ve been praying for our brothers and sisters in Syria and Egypt and witness the recent martyrdom there. This is the Church of witness, of martyrdom, and being willing to lose our lives for the sake of Christ. Martyrdom connects our faith now to the witness of the Apostles and the saving act of Christ on the Cross. We act this way because Christ saved the World by being silent and complacent in the face of unjust death,”The just one, condemned unjustly” as our hymns say. Thanks be to God that our Church’s witness continues to grow through its martyrs. Sadly though, for every post and article I see about these powerful witnesses, I see another one complaining and whining about how hard it is to be a Christian here in America. It’s not. And, if it is, and if we are truly being marginalized, maligned, and persecuted, than thank God for the opportunity to witness Him, and how he reacted to being marginalized, maligned, and persecuted (and killed…). Someone on my floor in college said to me once “I was so surprised to learn your were a Christian, ’cause you’re so nice!” For better or for worse, the public, at least where I am from, has a largely negative view of Christians (judgmental, doctrinal, self-righteous). It’s up to us to change people’s hearts and minds (perhaps I should stop shouting at people on the subway…). Courtesy, patience, love are not just touchy-feely buzzwords, but expected behaviors of all Christians. Looking at our facebook groups and blogs, what stands out is our animosity, combativeness, and our love of calling people heretics* (the actual definition of a heretic can be found at the end of this article). We don’t put our best foot forward into the public world of social media, instead we shamefully witness our disunity and lack of basic Christian charity. I have to read tons of online industry forums for work, where people disagree politely and thoughtfully. Meanwhile, I tell people constantly to avoid certain “orthodox” websites and facebook groups where we gather to publicly complain, mock, and judge. If we shouldn’t be like talking heads on cable news or cowardly internet trolls, then what is our model for our behavior in the public sphere? What is God calling us to do in the workplace, our schools, with our neighbors, on facebook? For me, the example of St. Herman is always useful. St. Herman was a monk first, and of course lived a life of guided silence and constant prayer. His prayer was so strong that if you visit his home on Spruce Island today, you can see how the entire environment has been transformed and marked with the presence of the Kingdom. But Saint Herman didn’t just stay in his cell and pray, he used his life as a practitioner of silence and prayer to help those in desperate need (ran an orphanage), perform saving miracles (protected villages from tsunamis and fires) and stand up to those in power for the oppressed (calling the Russians out on their treatment of the natives). The difference between his activity in the public sphere and ours, is that his was fueled by genuine love for people in need, people whom he knew intimately. Ours is fueled by ego, or agenda, or ideology, or politics, or insecurities. Ultimately, Father Herman’s example is so compelling to me because it is a beautiful image of Christ’s example. Silence and worldly weakness gives way to the real power of public love, a power that breaks the bonds of death and sin to make paradise open for us all.This is our imperative, this is our vocation in the public sphere, to use the gift of our tradition to preach the Gospel of a God who is love, not to feed my ego, assuage my insecurities, or feed the fire of ideology. This is what Christ wants for us, to do what he did for us, for others. Every interaction, every post, every tweet, every word has the potential to speak the fullness of the good news of a loving God. A heretic is not someone who holds an incorrect belief. A heretic is a church leader (usually a bishop) who vigorously propagates a belief that he or she knows to be contrary to the beliefs of the apostolic and catholic Church. As my seminary professor used to say “Most of you aren’t smart enough to be heretics”. Greetings, Nathaniel. Wonder is focusing on the topic of vocation this month, and you so kindly offered to contribute a few thoughts on the subject, particularly since you’re in a rather unique (and trying) point in your education. First, can you tell us what you’re studying, where, and how long you’ve been working on this degree? I am in the process of finishing off my teacher’s licensure in music education, and have been working towards this degree for the past five years. While deciding what degree I should pursue, I first realized that I did not feel any particular type of calling towards anything, and I did not have any clue as to what kind of work I would enjoy, or rather, not completely resent. This was the biggest issue for me, finding something that I could dedicate a chunk of my life towards. Another issue I had was the fact that I was not particularly a great student who enjoyed school. As a student, I found every way I could to get out of the school building and do my work on my own time, if I chose to do it at all. It was difficult to find meaning in it. What I did know however, was that when I was in high school, a class that I felt I did well in was Band. I wasn’t the best, but I did well. Outside of school, I wanted to do as much as I could with the church. I went to youth events, I served behind the altar, and participated as much as I could. This did not stop after high school graduation. I began teaching, assisting Fr. Benjamin Tucci with other youth events, and strived to learn as much as I possibly could by starting a Bible Study. Eventually I realized that youth ministry would be something that I found great joy in. Unfortunately, there are not many jobs in that field. With this in mind, I knew that Seminary would be a strong possibility, not because I aimed to be a priest, but I wanted to continue to grow as much as I could. Problem was, you need at least a 4 year degree to be able to go. I was stuck. In the end, I realized that my joy from working with youth was a must have, so I had to decide what to do with that. I wanted something that included my faith (who wouldn’t), but had a hard time finding it. When I realized that I enjoyed music in high school, the thought process literally went “youth + music = Music Education.” And so it began (at least for now!). With a degree in music education, and presumably a future career in the field, how is this relevant to you? To your identity, to your faith? Is music just something that you’re good at? Do you see yourself contributing to our society through this position? Elaborate a bit on the significance of music education. College really tested me in a way that measured my commitment to music. I realized about half way through that a lot of the staff seemed to expect music to be the center of my life, which in hindsight makes sense, if you’re trying to be a professional in that field. However, I tried to base my faith as the center of my life and sought music only as something I enjoyed. When these ideas clashed, music became a chore, and at times, I lost my desire. School becomes difficult when you don’t have the same passion as the ones trying to teach you. Granted, music has a great history in the faith, but college is primarily concerned about western music, so tying music to my faith at school was a difficult thing to do. Also, unless I teach in a private school, overtly bringing faith into the classroom can be problematic. Before I start to sound like a music hater, let me say music is a wonderful subject. It is a major factor in every culture around the world. In music, students can learn to express themselves in ways words cannot, and convey feelings towards an audience based on a story that a composer wrote about. Music can be correlated with other subjects. For example: Math, Reading, Science, Physical education, History, Language classes, etc. Music gets students moving, creating, performing, observing, critically thinking, empathizing, working cooperatively. When I think about the importance of music education in the classroom, I’m still at the point of observation, but the benefits are definitely there, and students enjoy it. I am glad that I’ll be able to work with students in this field. I struggle however, to connect it with my faith. At this point, all I can do is take to heart the lifestyle of being Orthodox and follow the old saying: “Preach the Gospel at all times ~ and when necessary, use words.” Obviously, I can’t (and would not want to) evangelize. But certainly I aim to witness to my faith in some quiet way. Music education seems to be a venue for this, but I have not yet worked out the details. Do you understand teaching music to be a social ministry of sorts? Absolutely. There’s a saying that says “you become who you surround yourself with.” Other than parents, teachers are a major support system for a child growing up and are incredibly influential. We all have that one teacher we look back and remember, not always because they changed our lives, but they were cool, or easy going, and really clicked with who we were at the time. We didn’t know it then, but we create who we want to be by taking the traits we desire from others. Much of the time it’s from our friends, but adults impact students much more than we recognize. Another great thing is that band (all music) brings the community together. Students with different personalities, backgrounds, interests, and agendas come together to create one sound. They listen, learn, and react to each other, to eventually encourage the community to come and listen as one. I think it is really cool when the community can come and see the improvement that the students have made, and be impacted by the music being performed. Like I said, the benefits of children being in music are there. It’s just hard for me to connect that work life to my life in Christ when so much of it become a distraction and burden. I don’t see myself contributing to our church at the moment through this position other than the expansion of my abilities and strengths that I have working with youth. Later, after some debt is cleared, we will see. But this is only the beginning. How have you pushed through the struggles and frustrations to finish your journey? Have you considered giving up? What makes you keep going? As I progressed through college, my main instrument was the trumpet. Again, I was not the best, but I was good. One difficulty I had was my schools desire to make all education majors play at a certain level of performance. The lessons, and recitals, and juries, and band, and all the extra stuff on top of learning to teach. To me, it all seemed like busy work that just got in the way of important stuff. Another problem I had with my school and the motivation of teaching, was that the school focused less on practices that benefit the students education, and more on the philosophy of what it means to be a good teacher. I can’t tell you how many lectures on the “empathetic” or “student centered” teacher I’ve sat through. I want practicality. I want stuff I can use. I don’t want to land my first job and have to start from square one on classroom management. I want to learn what teachers have done to be successful, and build from there. Call me lazy, but it would sure save five years. I’ve wanted to quit, and honestly the only thing that stopped me was the idea of finding a less glamorous job, with a great pile of private school debt, and nothing to show for it. I was in it, and I was stuck. It seems wise to finish what I have started, despite the challenges. Do you see the roll of band teacher as doing God’s will? I don’t know God’s will. I enjoy working with students, and for now that’s all it is. I’ve found something that I can commit to for a while. Life? Maybe, but I don’t wake up in the morning dreading to go to school. It’s different being the one passing out the homework rather than receiving it! I don’t know what God has planned. I’d still like to be a youth director of sorts, or travel. But this is where I am, and I’m ok with it. Hopefully, God is too. Like I said, I don’t feel “called,” and I’m not entirely sure what it would feel like if I were, but being a band teacher is rather enjoyable. Protodeacon Peter Danilchick was ordained to the Holy Diaconate in 1975. He is presently attached to The Protection of the Holy Mother of God Orthodox Church, Falls Church, Virginia, Romanian Episcopate, OCA. He is presently a member of the Board of Trustees of St. Vladimir’s Orthodox Theological Seminary (SVS), Crestwood NY. Protodeacon Peter holds Bachelor’s and Master’s degrees in Electrical Engineering from The Cooper Union for the Advancement of Science and Art and Syracuse University, respectively, and has attended the International Management Program at IMD, Lausanne, Switzerland. He has 33 years of operations, planning, and general management experience with Exxon Mobil Corporation. Protodeacon Peter and his wife Tanya reside in Oakton, Virginia, and have three children and eight grandchildren. Mrs Elizabeth Ketz lives in the suburbs of Minneapolis, MN with her husband and three children. Growing up in Arizona, Elizabeth attended Arizona State University where she received a B.S. in Kinesiology. Since moving to Minnesota in 2004, she has nearly a decade of experience in coordinating and running fitness and exercise programs for the elderly at three locations in the Twin Cities metro area. Mr Andrew Boyd is the Director of Youth, Young Adult, and Campus Ministry for the Orthodox Church in America. He is a graduate of the University of Connecticut’s School of Business and the Master’s of Divinity program at Saint Vladimir’s Seminary. He works in corporate communications in New York City and is a member of Sts. Peter and Paul Orthodox Church in Jersey City, NJ. Mr Nathaniel Kostick is a student at Augsburg College in Minneapolis, MN. In addition to his studies, Nathaniel is the sacristan and a church school teacher at St Mary’s Cathedral in Minneapolis. This entry was posted in Contributors on May 8, 2014 by ocawonder. This entry was posted in Issues on March 23, 2014 by ocawonder. A few years ago, right at the beginning of Great Lent, a very dear friend opened up to me about his struggle with fasting. This is what he said. “My entire life, the Church has been telling me what to do. When the Fast comes, there is always a sense of foreboding and gloom. All I hear is the Church saying, ”˜Eat these foods, don’t eat these foods. Strip yourselves of creaturely comforts.’ Never have I felt an uplifting sense of hope or consolation, just responsibility. ”˜This is what you must do. Take up this burden.’ The result has always been a sense of guilt, because the Church didn’t give me any other options. You either did all that was commanded of you, or it didn’t count. Well, okay, maybe I wasn’t about to say all that. I was caught up in the moment, taken off balance. I didn’t know what to say. I started by saying a dumbed-down version of that, and then stopped. I realized that all the fancy arguments and point-by-point rebuttals in the world would accomplish nothing in the end. Ultimately, the change in perspective had to come from my friend. He was the only one capable of changing his own mind. All I could do was point the way and lovingly suggest a change in perspective. I don’t think my overly defensive impulse is all that uncommon. Too often, it seems the natural response of those of us actively involved in Church life is to become defensive, even combative, and deny that an opinion like my friend’s is valid. ””Uggh. Here comes the fast, with all its rules and regulations, with all the extra services. And it’s so penitential! Alright, I know I’m a lazy wretch, I know I’m a slave to sin, can we just get on with it already?? I despair of myself, O Lord. and wasted my life as the Prodigal. ­””See? Look at all this negativity! All it’s telling me is that I’m an awful, worthless person. abhor me not, O Benefactor of all, supreme in love. It is Christ’s love for us that is the highest and only “motive” that the Church has for bringing us the Great Fast every year. Christ does not devise devious guilt trips to trick us into participating in Lent. That is a trick of our minds. Or, to be more accurate, it is a trick of the devil. O Word of God, Thou hast given us the time of the fast, that we may turn again and live… (Vespers from Monday of the 5th Week). These are not demands, they are pleas, they are loving entreaties, that we might “turn from our sin and live” (see Ezekiel 18.23). Or, as the Church so wisely adapts Scripture, “that we might turn again and live…” We are in a continual process of falling and getting up again, of sinning and being forgiven by Christ. By making the free choice to enter again into the Great Fast, we acknowledge our own enslavement, our own addiction, to the passing things of this life””food, money, gossip””which in turn explains the Church’s unending call for our repentance through fasting and prayer. Fasting isn’t fun, it isn’t easy. I have no doubt that I will continue to have times when I think, just like my friend, that the Church demands too much of us. But in those moments, I have to keep on reminding myself that the Church brings us Lent not to oppress us or to make demands on us; that is the tempting delusion of our minds. She brings us Lent so that we may break through that cycle of sin and cross over from the wilderness of our estrangement from God to the fulfillment of the promise of Christ’s resurrection. This entry was posted in Articles on March 23, 2014 by ocawonder. When we are entering Great Lent, what do we think of? This year I thought of the parable of the prodigal son and how the son came home to his father and the father accepted him back completely. We know the story of the prodigal son. The youngest son comes to the father and says, “I want my inheritance and I want it now.” The father divides up his estate and gives his younger son his share of the inheritance. The young son leaves and squanders the money on partying with his “friends”, and lavish and sinful living. Soon his money has disappeared, his friends have left him, and he is alone, broke, and broken. He is homeless, scrounging for food. He is hungry and homesick and just wants to get back to his father. He travels to his father’s house, hoping that his father will hire him as a servant. As the youngest son draws near to the house, the father sees him in the distance and runs to him with his arms wide open. The son tries to talk and explain but the father is so joyous that he kills the fatted calf and has a big party to celebrate and welcome his son home. This illustrates the perfect love, the agape love, that our Father has for us. In this parable, Christ is illustrating God’s love for us (as well as God’s forgiveness). Later that evening, the oldest brother comes home and asks a servant what is going on. He becomes so angry that he will not even enter the house, so his father comes out to talk to him. The father says, “What is wrong? Your brother was dead, and now he is alive. We rejoice that he has come home to us.” The older son says, “But he abandoned us and spent all your money, and now you throw him a party?” The father cuts him off saying, “All that I have is yours, and you have been faithful and helpful to me, but we rejoice that your brother has come back.” The older son, in contrast to the father, cannot achieve perfect love. He wants to blame and scold his brother, and make him pay for his foolishness. Our Church calls this the parable of the Prodigal Son, but really, Christ wants us to be like both sons. We should be like the younger son in that we realize our mistakes and desire to be forgiven. No matter how bad our sins, we will not be rejected but will be joyously welcomed back with open arms. We should also be like the older son when he was obedient and faithful and dedicated to his father’s work. Both sons make serious mistakes, but both also exhibit admirable behaviors. And both sons are unconditionally forgiven their offenses and loved by their father. But how do we do this? How can we learn from this parable, embody the good qualities of each, without also exhibiting each son’s bad habits? I think that’s too much to hope for. More likely, we will experience the good and bad behavior of each son, and simply need to recognize it and correct our behavior as quickly as possible. Lent is a time for increased focus on God, but to focus on God we must also be more aware of ourselves and our behavior. This winter, I was at camp at the Antiochian village with a group of teens. During his sermon at Liturgy, the Right Reverend Bishop Thomas started out talking about how he cleans his glasses. It got me thinking that glasses are an excellent metaphor for our lives! We are like glasses. We need to be cleaned and washed often. And it’s worth remembering that glasses are transparent; and serve only to help a person see something else. Our lives should also be transparent, and we need to live our lives so that people can see through us to Christ. We need to turn back to Christ like the younger son and then try to keep clean like the older son had done. During this Lent, I would encourage us all to try to realize our mistakes and turn back to our Father like the younger son. But also to be obedient, like the older son was. But unlike the brothers, we must never forget that Christ has perfect love for us and is always willing to forgive us, and lead us back to our Father in heaven. A New Approach to Fasting? Lent is once again upon us. Now is the season for renewed dedication in our prayer life, our almsgiving, and our fasting. So how are we to approach the fast? How are we to change our diets, and then let our ensuing hunger change us, shape us, lead us toward Christ? The Lenten fast is an authentic Christian experience, and one which deserves renewed focus. All too often, the fast is presented to the faithful in a surprisingly disjointed manner. And this organizational confusion is a source of frustration for many Orthodox Christians who sincerely desire to fast for Lent; to learn to hunger for God. Where does this confusion come from? And how can we approach the fast so that it is less confusing, less intimidating, detached from emotions of guilt, failure, and depression, and instead becomes more inviting, more practice-able, and ultimately more likely to provide an opportunity for us to hear the Gospel, to understand the miracle of our salvation? Fr Alexander Schmemann wrote in his monograph Great Lent, “we must return to the real fast. Let it be limited and humble but consistent and serious. Let us honestly face our spiritual and physical capacity and act accordingly…” Schmemann’s approach is echoed by the majority of clergy I’ve met, and certainly has great value. His vision is not that we each define fasting in our own terms, but that our fasting be practiced under the pastoral care and guidance of a spiritual leader (Priest or otherwise). This is the tried and true historical model of ascetism: fasting under the guidance of another. Would that it were so in my own life! If Schmemann’s proposal were practically possible for us, there would be little else to say on the subject. Unfortunately, most of us do not have a strong enough relationship with a parish leader (priest or otherwise) for that person to be able to guide us in a fast. We don’t maintain frequent contact, and we likely don’t have such introspective, reflective conversations with these people, for them to guide us in our fast. So while Schmemann’s idea has immediate appeal and is highly likely to succeed when attempted, far too few of us will ever attempt it. A second option for fasting guidance arises – the one with which we are all likely familiar: Published guidance on fasting. This amounts to a do-it-yourself approach to the Lenten Fast. Read it in a book (or on a blog, or watch a clip on YouTube), and give it a try. It is unsurprising that this method of fasting is so prevalent amongst the faithful. The traditional fasting rule is readily available and widely disseminated, from desk calendars and wall calendars with fast days in pink, to prefaces in cookbooks and service books, to meditations in weekly messengers outlining the fasting practice: no meat, no diary, no fish, wine and oil restricted on most days, etc. The question is: do we know what we’re doing when we take this old fasting plan, and either go at it 100%, or unilaterally decide to pare it down to something personally manageable? Either approach seems a bit cavalier, and we need to be aware of what the fasting rule strives to accomplish. In short, the fast is designed to produce hunger. And hunger is a powerful, dark experience. It is a visceral, primal, physical reaction. Hunger is body knowledge; corporal knowledge. Not altogether different from pain, the physical component of hunger is primary, while the emotional and mental components are only a secondary aspect. But in a fast, the hunger produced is a controlled hunger. Rather than the ”˜eat-my-leather-bootlaces” hunger of a starving shipwrecked sailor, a fasting person’s hunger is mediated by occasional limited meals, allowing us to work with our experience of hunger, rather than be crushed by it. The aim of the Christian fast is to allow that hunger to transform our daily experience. In a successful fast, we can experience how God’s strength is made perfect through weakness (2 Cor 12:9). In a successful, God-pleasing fast, where our body is hungry but not starved, we can transform our hunger for food into a hunger for God, and thereby be transformed ourselves by the fast. Many priests I know are aware of the difficulties involved in taking any active role in supervising parishioners’ asceticism, and even more have an awareness of the futility of simply handing out the traditional fasting rule without comment. So it happens that more years than not, I have heard priests offer their own modified plan, either during a homily, at coffee hour, informally in parishioner conversations or in adult or child religious education classes. Although their plans are often more practical and more relevant, they do little to address matters of accountability in one’s own discipline, and also do little to explain the relevance or solemnity of the monastic rule which they are modifying for our use. So our familiar pattern arises: every year in March, most Orthodox Christians I have met walk into Lent with a modified fasting plan, while little is said by Church leadership in defense of the published guidance, lip service is paid to the significance of the fast, but then left to the individual, while there is little evidence that people’s fasts are being supervised to the extent that monastic fasts have historically been overseen. What a strange set of ideas we have brewing in the cauldron of the local parish! A crowd of do-it-yourselfers reads the final product of centuries of supervised, tailored fasting, and perceives it as a do-it-yourself instruction for somebody else. It is no wonder that each year people ask in all earnestness whether the inherited, traditional fast has any relevance in our lives, and whether it should be modified! To be sure, fasting is not a fixed, ecumenical practice. Historically, fasting practices have been tailored to communities. To that end, I feel it appropriate to ask of our leaders some small adjustments to the Lenten fast. Adjustments like clarification on the wine and oil restrictions, refinement of the seafood allowances in recognition that crab and lobster are now delicacies. Perhaps the fast should incorporate new world foods and modern terminology (like ”˜calories’). Even modern food science might be a welcome challenge: rather than being permitted one pound of bread at 1,700 carbo-loaded calories, would we be better off eating, say, 1,200 calories of squash, corn and leafy greens? This is a legitimate question; both diets would produce a different experience of hunger. Furthermore, in our modern era, the fast needs to expand beyond the dinner table, to incorporate practical guidance on entertainment, electronics, social media, and perhaps some other amenities we have grown used to. Our inherited rule for the Lenten Fast should by no means be vacated. But it should be focused for today’s faithful. But reform of a document does not give the document any more inherent value. Anybody who has ever written standard work procedures or read a sports playbook knows this. The document must be received and practiced. So what is our vision? Assuming that we, as a Church, are interested in doing anything more organized and deliberate than our current approach, what is it we are hoping to accomplish through the Lenten Fast? Are we hoping to create a DIY Lenten Fast, easily read and followed by Christians who take the practice seriously? Are we hoping to return to the closer oversight of days past, where the local priest is actively and continuously involved in a parishioner’s personal spiritual development? There perhaps a middle ground between unique and generic, which might be the most tenable option for us, which may even let our fasting reach new heights as a primary feature of our Lenten experience. This middle ground can be seen between the pitfalls of each familiar approach. We don’t have the resources to make a parish priest so intimately involved in every parishioner’s lives, in order to tailor and supervise fasting and prayer practices. And although preset fasting practices have all the advantages of being clear, there is no intrinsic accountability in a do-it-yourself document. Perhaps there is an opportunity to use each other for support, in order to improve our experience with the fast. Alcoholics go to routine meetings when they choose to stop drinking. Friends who join gyms or exercise programs are much more successful at adjusting to a routine. Why should we expect fasting to be a different experience. Not only are we breaking bad dietary habits, but we’re also experiencing hunger, which runs entirely contrary to our biological instincts. It stands to reason that things may go better with support, and I think that this can be done without being hypocritical in our fast (cf Matt 6:16-18) and without falling victim to fasting with no higher goal in mind. Admittedly, this idea of fasting and supporting each other’s ascetic efforts in small groups or communities is not as beneficial as receiving individual training from an experienced elder (who wouldn’t take a personal fitness trainer over 8 Minute Abs ?! ), but we have to work within our reality, and this is a practical option for many more of us. Fasting as a community would have the added advantage of allowing more people to pursue stricter fasting regimens more earnestly. The alternative to tailoring a fasting plan to an individual is to train an individual to work up to a certain standard, so long as the standard is within reach. And I firmly believe it is not the letter of the fasting rule that is the primary challenge – it is our personal encounter with hunger which requires support, in order for it to be tolerable, sustained and transformative. Finally, and perhaps most important, approaching the fast as a community would allow us to understand that our salvation is not an individual endeavor. Such a communal approach to asceticism would add an experimental edge to our fasting. No doubt, traditionalists are cringing at the prospect. A healthy wariness of change is always wise in matters of faith. On the other hand, Christian asceticism has always had an experimental streak about it, from the first fathers to venture out to the desert, to the hesychasts who first prayed while seated. So, again presuming the fast is still being carried out with due reverence and proper focus, and still within the fold of the parish’s spiritual directorship, we may find ourselves in good company with such a novel approach. Why advocate such a change in the first place? 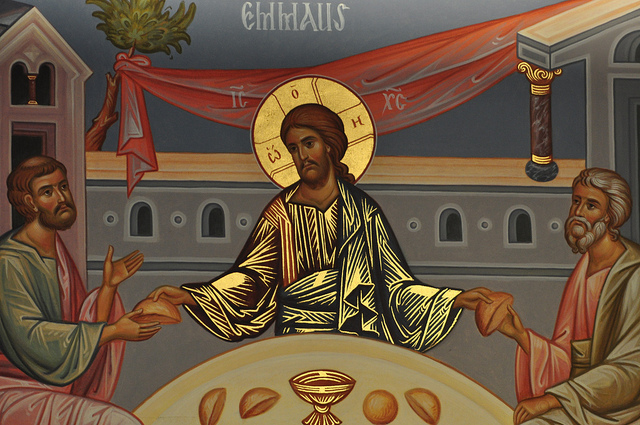 I can say only this: in all the conversations I have had with Orthodox Christians regarding fasting, my experience is that people are overwhelmingly dismissive of the published guidance, yet eager to fast and interested in (often desperate for) clear, concise direction. Nobody is afraid to be hungry. But people are unclear how to convert hunger for food into hunger for Christ. And 21st century Americans are entirely unfamiliar with hunger to recognize what the human body and mind are capable of. Our society is a society of consumers, and our appetite is insatiable. What would happen if we were able to turn this hunger to God, and then to periodically amplify and augment it through our seasonal fasts? Surely this is the fast that the prophet Joel calls to be sanctified. This is the fast that will give way to loosing the chains of injustice. Surely, this will be an acceptable spiritual sacrifice unto God. Schmemann, Great Lent, (Yonkers: SVS Press: 1969), 99. 1,700 calories is not supposed to be a reduction in caloric intake for many of us, according to dieticians. So if we’re eating, for instance, a pound of bread a day, we have not actually reduced our food intake, but merely our protein, vitamin and mineral intake. Is this the intent of the fast? I suspect not.